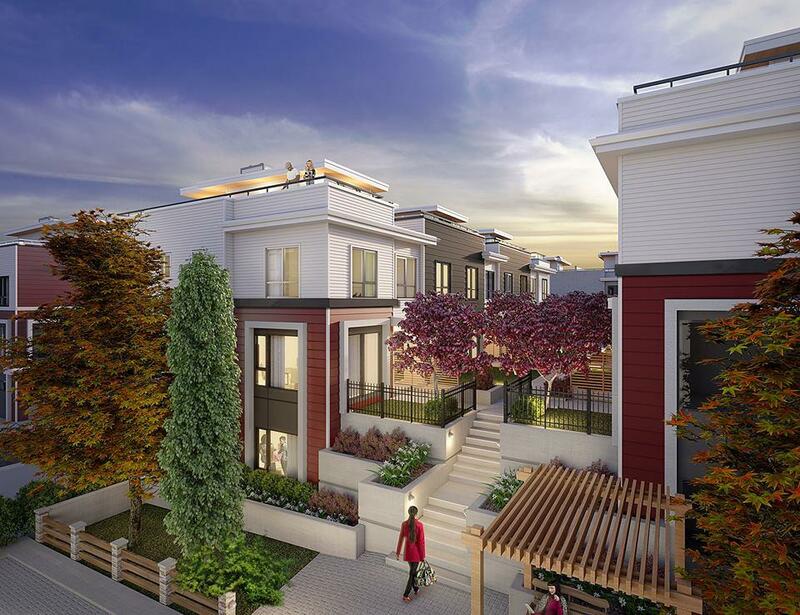 Homes at Soho, a new townhome development in preconstruction in South Surrey, are going fast. Buyers have snapped up over 80 of the project’s 170 homes since sales started at the end of May, and the first two phases are almost sold out. Currently a wide variety of spacious layouts are still available at Soho, from three-bedroom homes at 1,445 square feet (1,911 square feet with patio), four-bedroom homes at 1,807 square feet (2,274 square feet with patio) and even larger four-bedroom homes at 1,932 square feet (2,644 square feet with patio). Prices range from $639,990 to $999,990 and buyers will be able to move in as early as January 2017. Developer Zenterra has highlighted that every home at Soho will have a large rooftop patio, but the spaces will have plenty of other enviable features as well. Modern kitchens will include designer hardware, soft-close doors and drawers and solid-surface quartz countertops, while master ensuites will have floor-to-ceiling Italian-style porcelain tiling and floating flat-panel cabinetry. What’s more, some homes will have main-level backyards and double garages. Buyers have also been drawn to Soho’s convenient South Surrey location. The development is just steps from the 4.2-acre Oak Meadows Park, and is also not far from many venues perfect for dining and leisure. From vibrant restaurants to diverse fitness facilities to some of the best schools in the province, there’s plenty on hand for everyone. Zenterra began the second phase of sales at Soho early, and anticipates releasing further phases ahead of time if demand continues at the current pace. Those interested in the project can visit the presentation centre daily from 12pm to 5pm at 30-2411 160 Street, Surrey, or simply click here to register for updates. For more information call 604 779 2456, email soho@zenterra.ca or visit the website here.